Tina Gass, Carshalton Mum of Henry (12 weeks). Nicole Louise Baker, Carshalton Mum of Stanley, age 3 and Joseph age 21 months. Kate Webb, Carshalton Mum to Ryan, age 5 and Bobby, age 3. The first session is free, all you need to do is to fill out the attached health form and bring it with you on the day. The class is specifically designed for post natal women from 6 weeks onwards, although we do advise 10 weeks for a caesarean delivery and it is a total body workout. I encourage people to work at their own level, and always give a high and low intensity option for you to choose. It’s a great way to meet local mums, and give your baby some fresh air whilst getting fitter and regaining your figure. 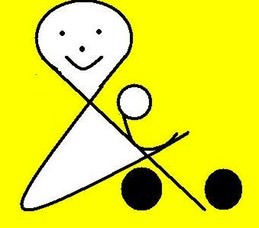 Please let me know if you wish to attend.�If you have any more questions regarding our classes please give me a call, I have also attached some advice for post natal exercise. Maria works with a number of clients either one to one or in a group, and designs tailored training programmes to help people achieve their fitness goals.� As part of your programme Maria is also qualified to give nutritional advice to support it.� So whether you have a big goal in mind or you just want to lose a few pounds, Maria will help you achieve it. 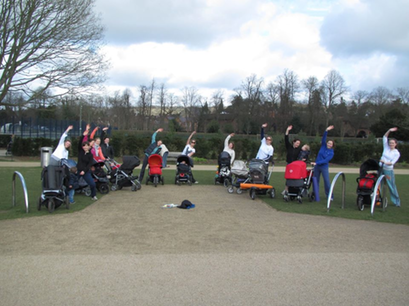 Maria also runs�Legs Bums & Mums�post-natal classes for mums to excercise with their babies in local parks. 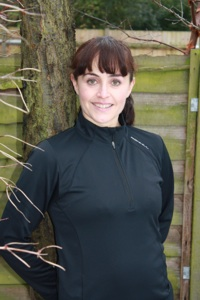 So if you fancy some of Maria’s star treatment, give her a call to find out about her popular class in The Grove Park, or just turn up and join in!